Following a discussion on the Canberra Ornithologists' Group chatline on the identification of a young Horsfield's Bronze-Cuckoo Chrysococcyx basalis versus a Black-eared Cuckoo Chrysococcyx osculans, I would like to add a few pointers to the plumage differences as described in HANZAB (Handbook of Australian, New Zealand and Antarctic Birds). 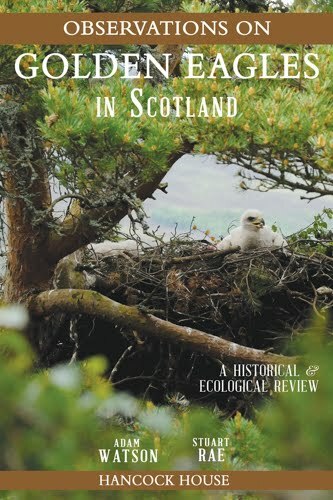 Unfortunately, I do not have an image of a young Horsfield's Bronze-cuckoo but I refer the reader to the photograph taken by Kym Bradley which opened the discussion on what species and age the bird was that she had photographed. To see the photograph click here to open the page in a new tab for comparison with the photographs taken by me of Black-eared Cuckoos below. The following text is an abbreviated interpretation of the description on pages 705/6 of HANZAB vol. 4, and I have attached photographs to illustrate the features mentioned, adding further points of note where these are illustrated. 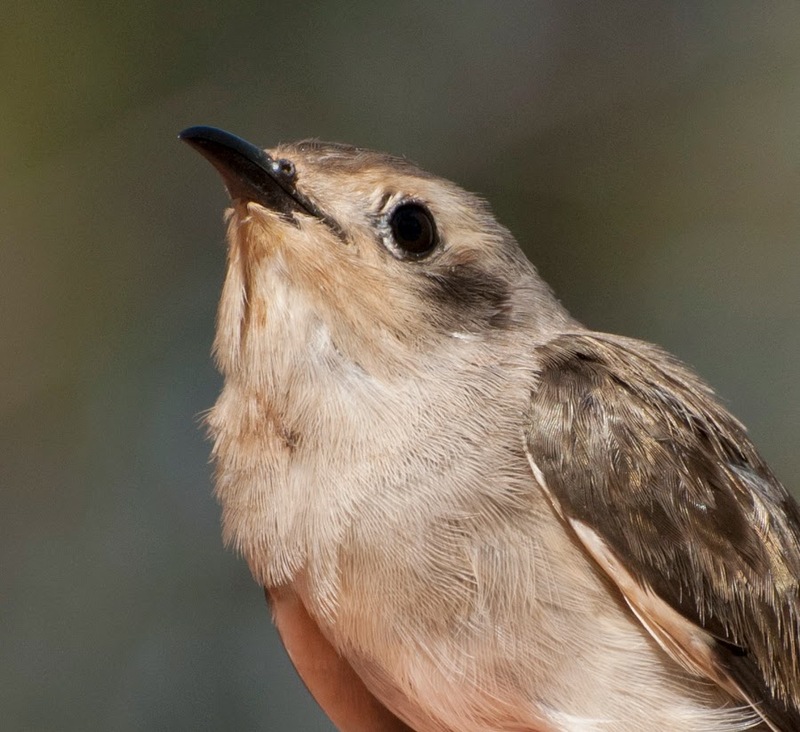 The list of pointers described to differentiate between Black-eared Cuckoo (BEC) in all plumages and juvenile Horsfield's Bronze-Cuckoo (HBC) are as numbered in HANZAB. (1) The BEC is much paler with more uniform upperparts and no conspicuous iridescence or pale scaling to the wing-coverts, as shown above. Adult Black-eared Cuckoo - showing contrasting pale grey rump against the dark wings and tail. 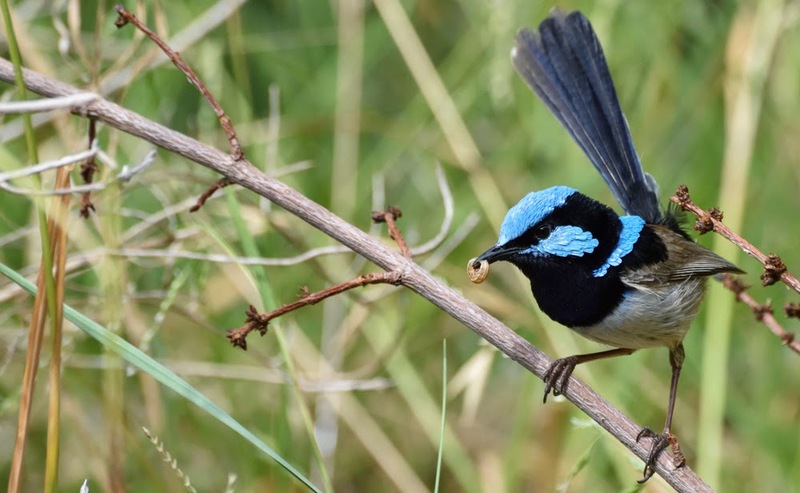 This bird has fresh plumage and as such, because the feathers are not faded by UV light, this bird is a s dark as any BEC is likely to be. 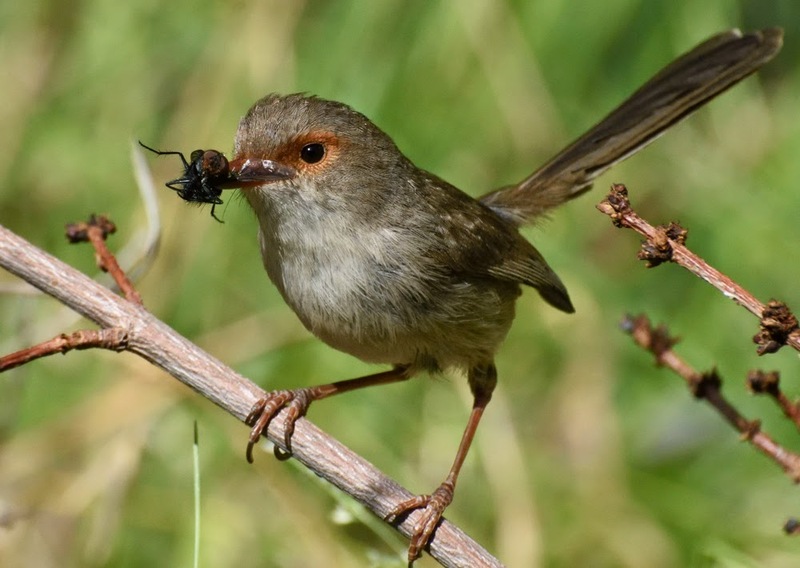 (2) The BEC has a contrasting pale rump and upper-tail coverts (this is only in adult BEC) as above. The HBC does not have a contrasting rump, nor does a first year BEC. A first year BEC has only a slightly paler rump, see second last image below. 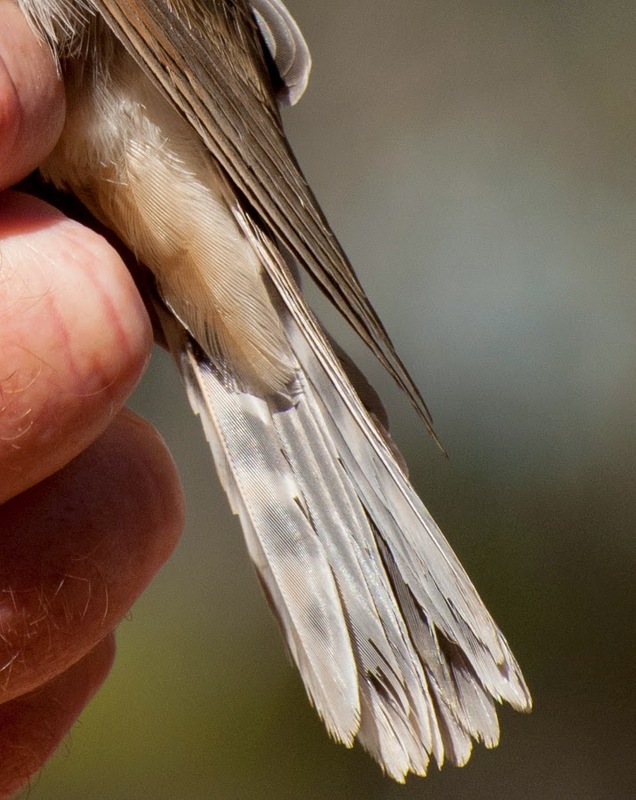 (3) The BEC has a uniform buff to cream underbody with dark chevrons on the under-tail coverts in an adult, as above, or with no markings in a 1st year birds, as below. The HBC has a mostly white underbody and unmarked under-tail coverts. 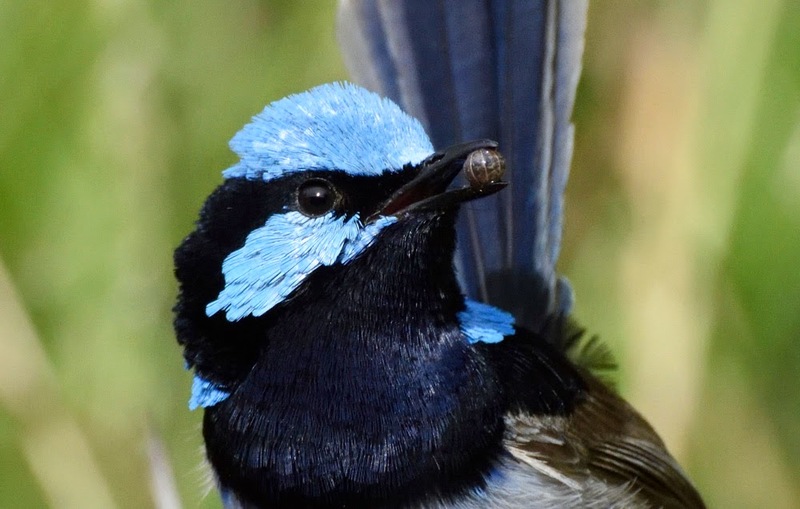 (4) The patterns on the head are more bold in the BEC; the supercilium is broad and square-ended and the black eye-stripe ends in a broad patch on the ear-coverts, as in an adult shown below. The HBC has a narrower and duller supercilium and eye-stripe. 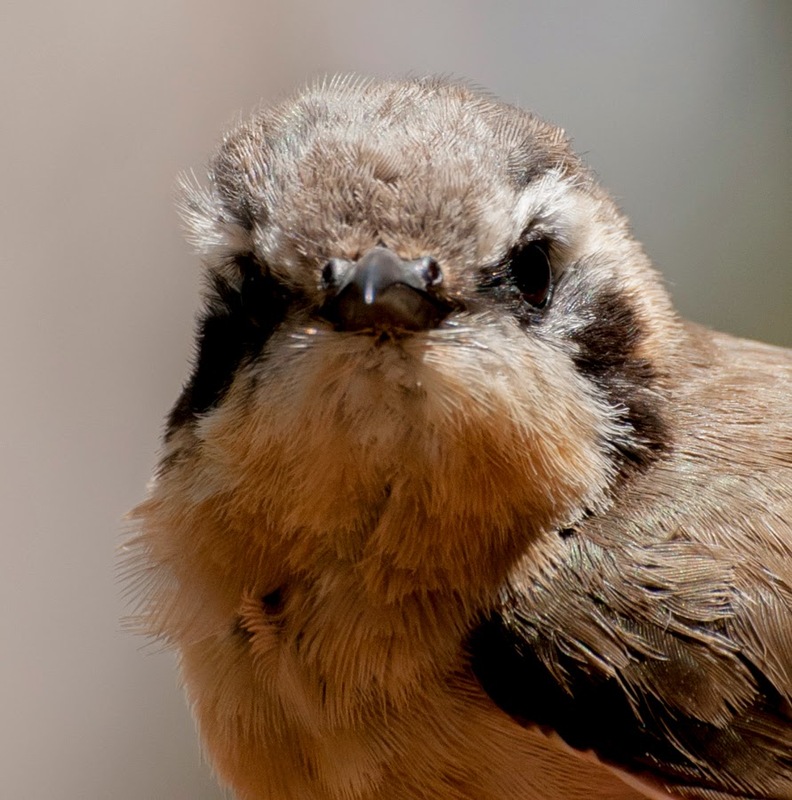 A first year BEC has no eye-stripe, but does have a dark patch around the ear-coverts. 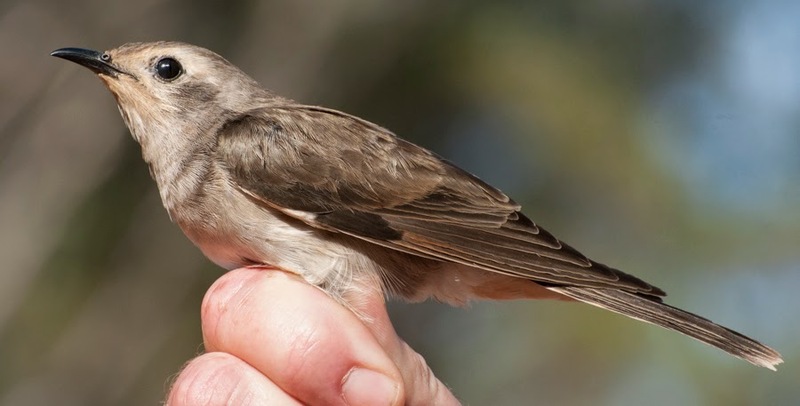 It also has a pale buff-cream supercilium, lores and throat, as below. 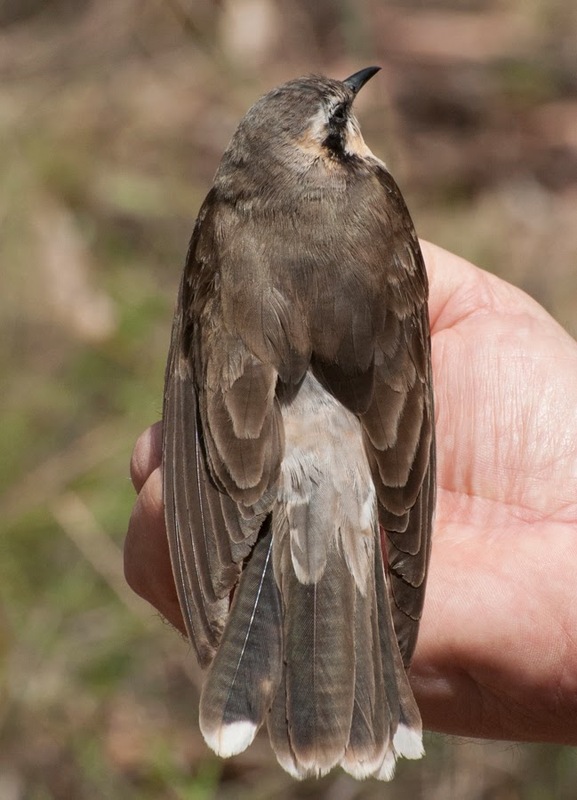 The pale colouring of the lores is contiguous with the supercilium, whereas a HBC has dark lores in all plumages. 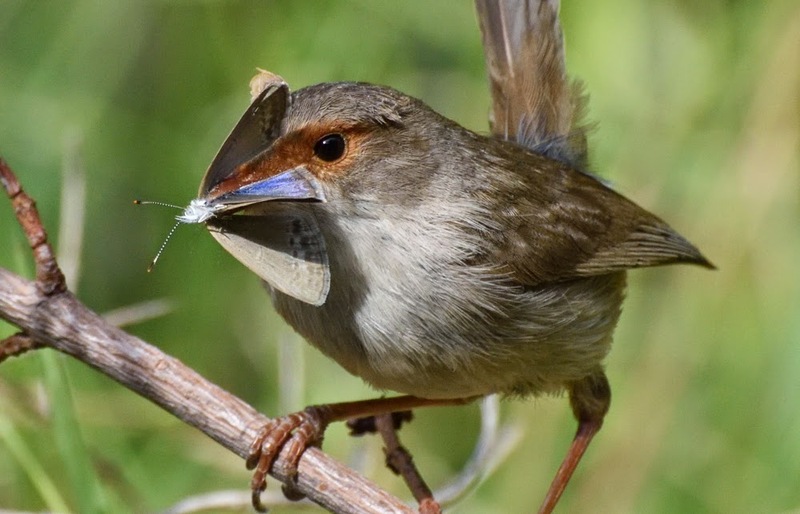 (5) The adult BEC has a uniformly dark brown upper tail, with no obvious iridescence (there is s slight glow in the illustration) and a contrasting white tip, as below. 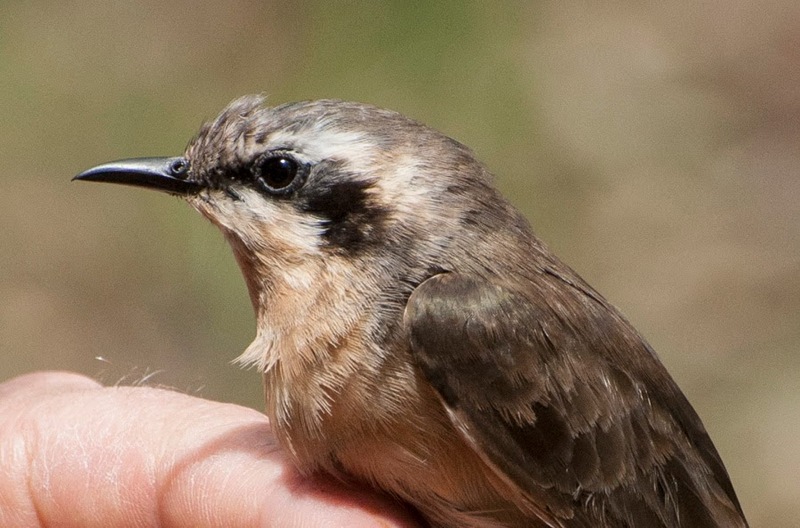 The HBC has no white tip, is iridescent and has rufous edges to the base. 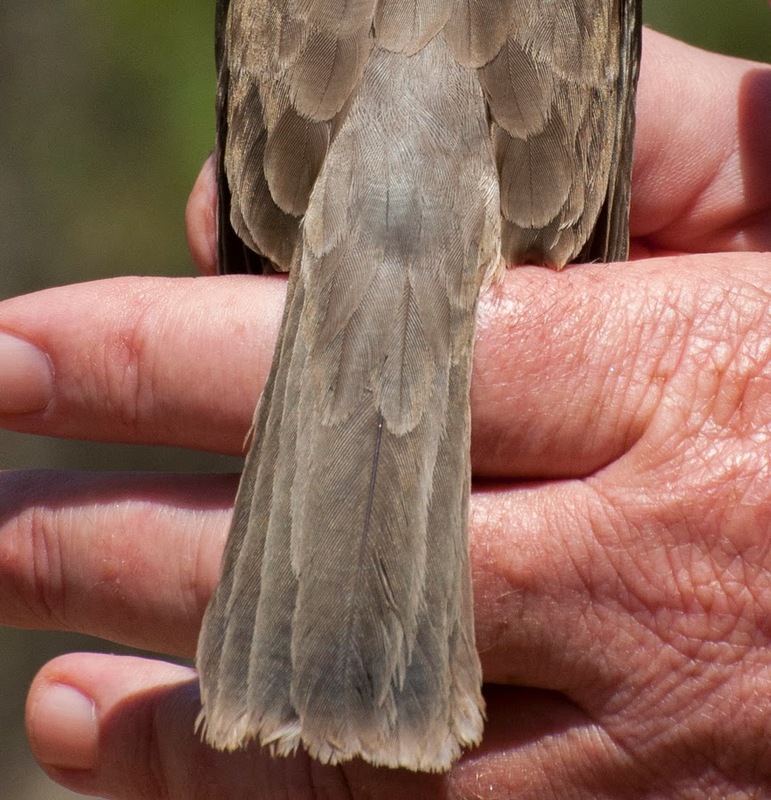 A first-year BEC has pale tips to a dull uniform coloured tail, as below. 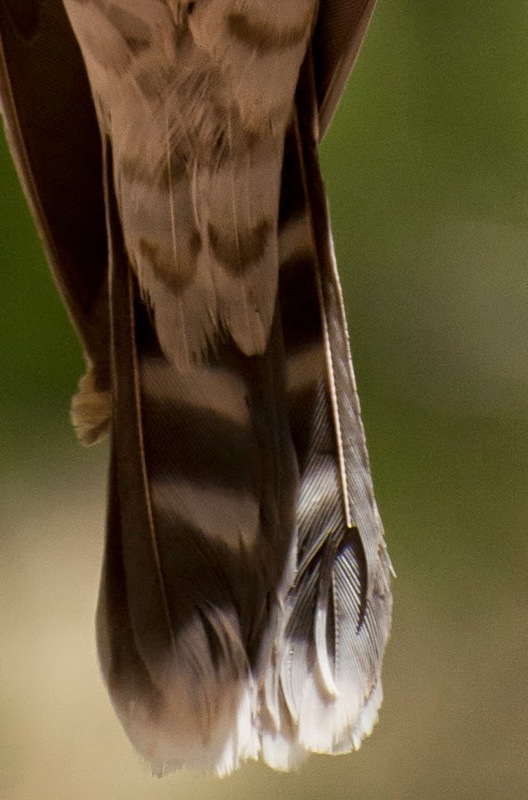 (6) The underside of an adult BEC's tail also shows a white tip, as below, and lacks the obvious rufous markings on the HBC. 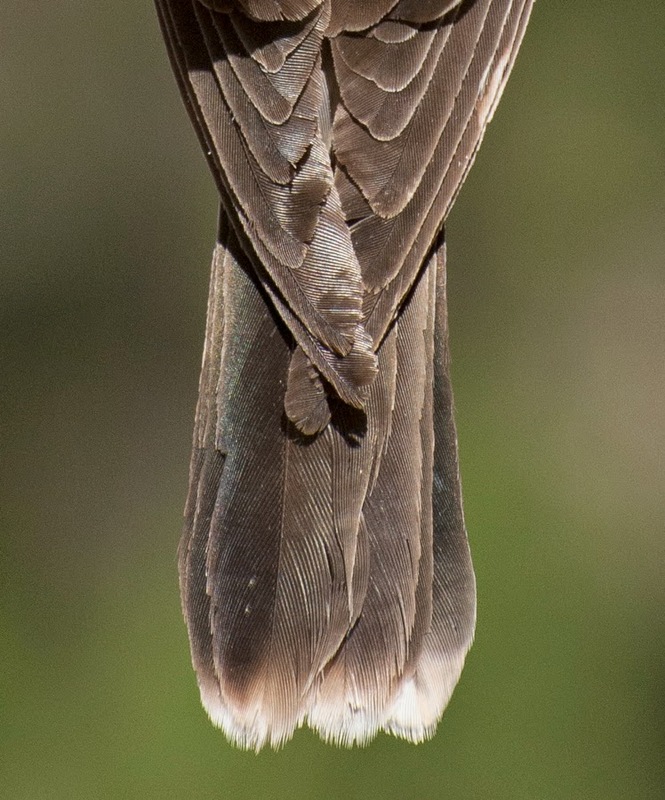 In summary, the bird photographed by Kym has: (1) an obvious iridescence on the wing coverts, which also show distinct scaling on their edges (so it is not a BEC), (3) the underparts are off-white/grey, not buff/cream (so not a BEC) and the under-tail coverts are unmarked (so not an adult BEC), (4) the supercilium and eye-stripe are dull and narrow with tapering ends rather than square-ended near the ear (so not a BEC), and the lores are dark (so not a first year BEC). As rump and tail tips are out of view in Kym's photograph points (2) and (6) cannot be assessed. One further feature of note is the dark grey band across the bird 's throat in Kyms' photograph, this is not mentioned in the HANZAB description (I can't find such anyway) and it does not show in any of the BECs I have photographed, so this could be an additional distinguishing point. 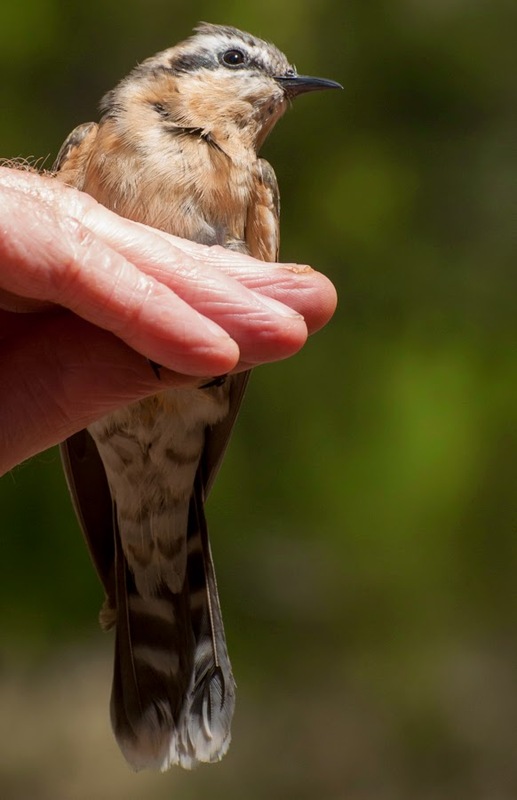 Therefore, in conclusion, the bird photographed by Kym was a juvenile Horsefield's Bronze-Cuckoo. For further points on Black-eared Cuckoo plumage and age refer to my previous blog posts of November and December 2013. 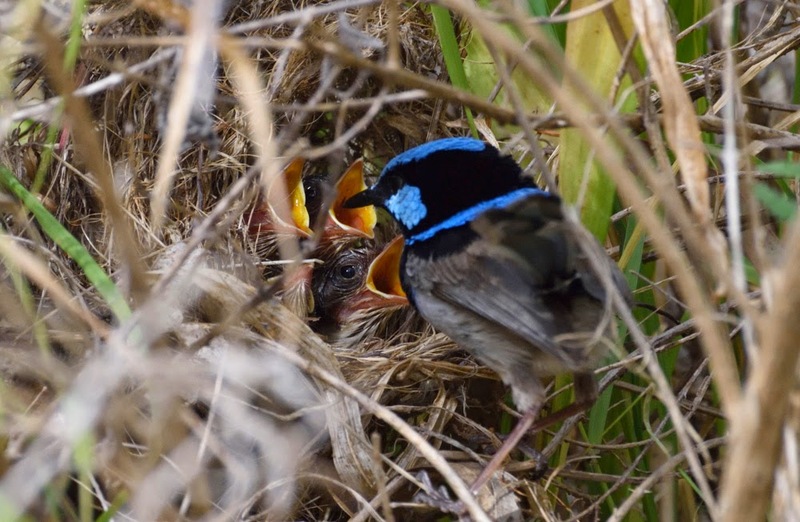 A pair of Superb Fairy-wrens Malurus cyaneus have just fledged a brood of chicks from a nest in our garden, outside our bedroom window. 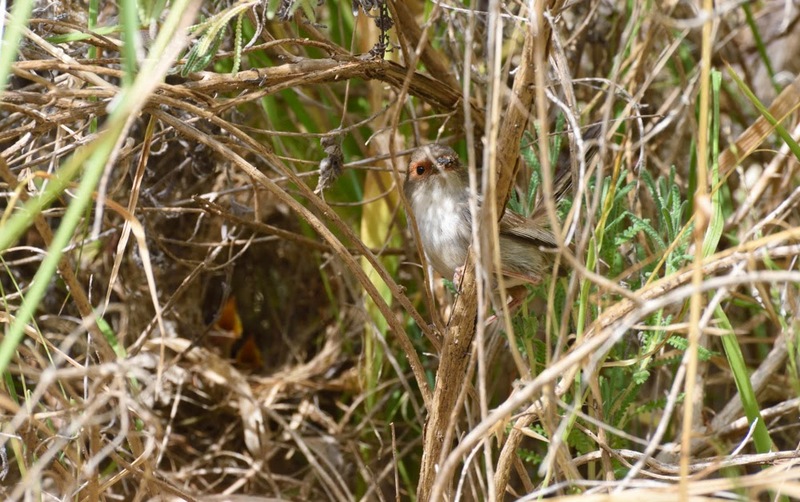 The nest was set under an old lavender bush, woven into the mesh of grasses and twigs. It was not much more than a see-through domed cradle for the eggs with the roof for concealment and a thin lining of fine grass and downy plant seed cases to support the eggs and then chicks. 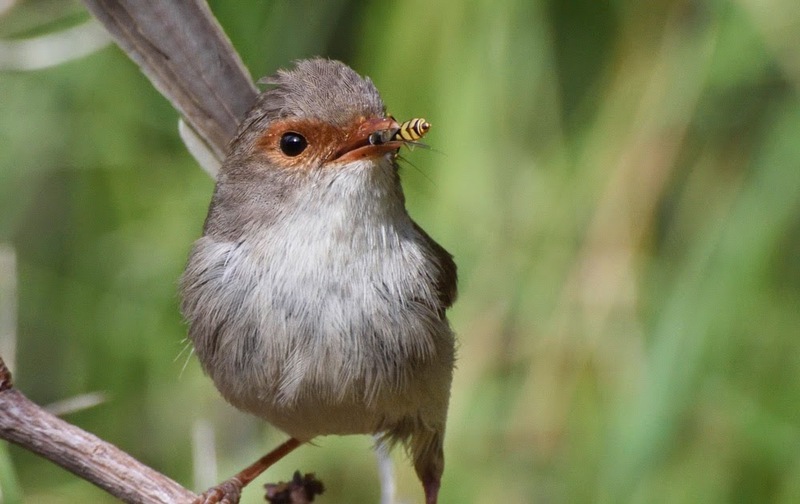 The birds were accustomed to me and other people moving about the garden and carried on feeding the chicks while we were close, so I took the opportunity to capture a few images of these stunningly beautiful garden birds. I spent less than an hour watching the birds feed their youngsters and in that time they made fifteen trips to the nest, the male seven and the female eight times. They brought in a variety of items and I was surprised at the large size of some the prey, the grasshoppers and butterfly being the biggest. The chicks were about ten days old and well feathered. They all fledged three days later and are now flitting around the garden following their parents in the ever busy search for food. The female seemed to have the knack at catching flies for she brought in four during the watch. And she caught a tiny hoverfly. Then a hoverfly - tricky to catch? It was such a delightful experience to sit quietly next to the nest while the birds went about their business. Real live wildlife action in the garden. There is no need to travel thousands of miles to see spectacular animals, simply stop and take notice of what is going on all around us, even in the cities, there is something going on somewhere. Who knows what we'll witness next. Just take the chances when they come. 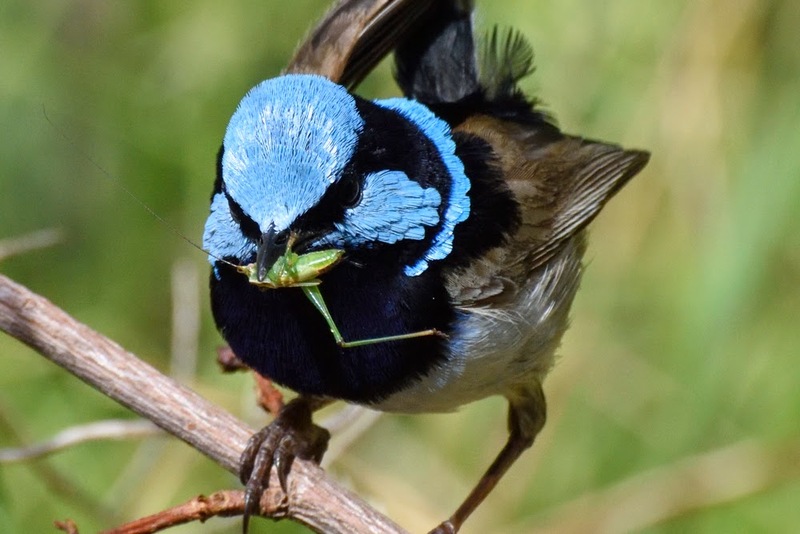 I thought the male was specialising in the larger items, until the female brought in a blue butterfly, the perfect colour for such superbly blue birds. 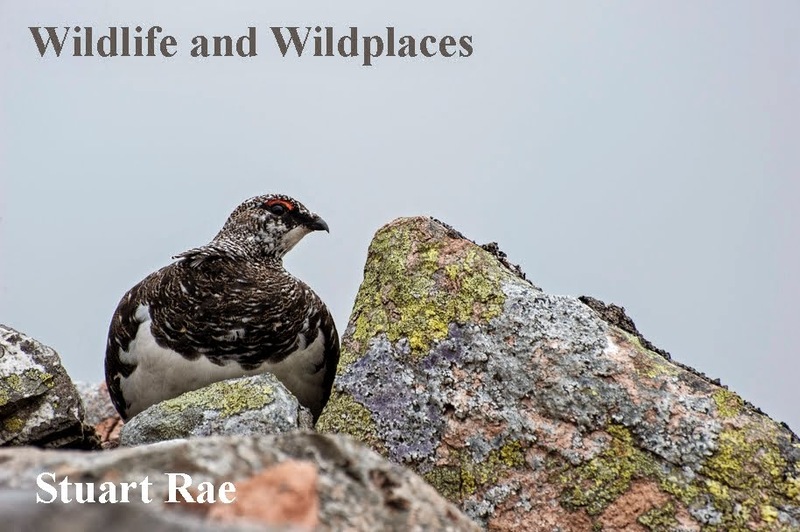 All images copyright of Stuart Rae. Simple theme. Powered by Blogger.